At Inver Grove Honda we put our customer first, where everyone you deal with at our dealership is friendly and always happy to help. Check out these great awards we have received. American Honda Motor Co., Inc., announced that Inver Grove Honda is among the recipients of its prestigious Honda President’s Award for 2016. This award is presented to an exclusive group of Honda dealerships, from among more than 1,000 nationwide, for exceptional performance in all aspects of operations. 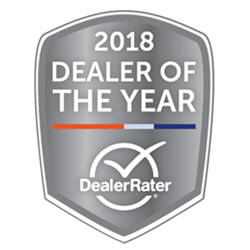 DealerRater’s Dealer of the Year Award Program recognizes a select number of car dealerships throughout the United States for outstanding customer satisfaction as expressed through customers’ online reviews posted on DealerRater.